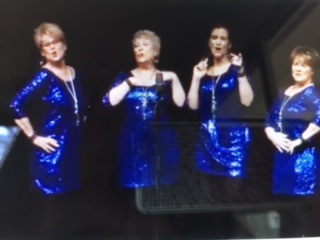 Four fun-seeking women who love to sing, got together in early 2005 to form Sashay, a quartet registered with Sweet Adelines International. 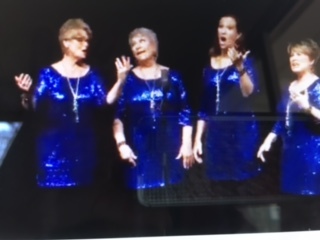 Sandy Scarbrough, tenor; Deb Densmore, lead; Marie Koltvedt, baritone; and Jill Watson, bass, are also members of the Grand Traverse Show Chorus. Jill also serves as the director of the chorus. "We are all in it for the fun and glory of singing – it's good for the soul and always puts a smile on our faces." Sashay regularly delivers singing-grams, in their entertaining style, and also performs for holiday parties and events throughout the year. 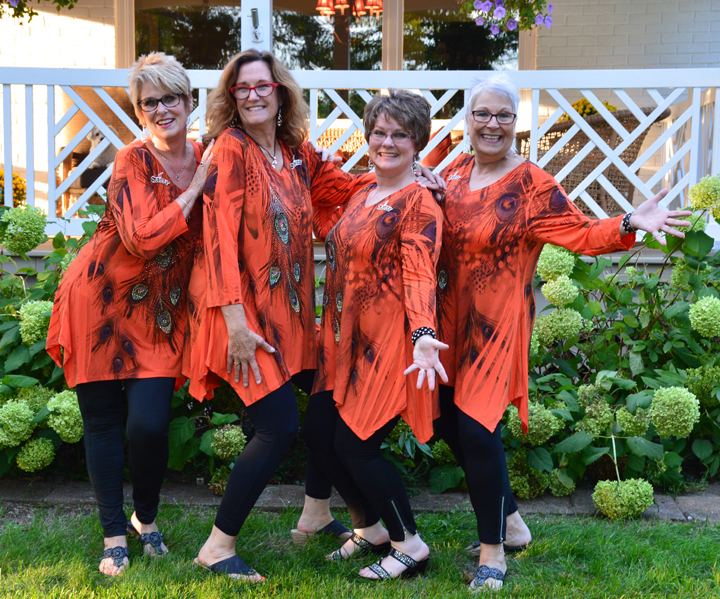 A highlight of their year, Sashay competes each spring in the Sweet Adeline regional competition that takes place in Dearborn, MI. This year (2016) Sashay took home the Silver Medal in Region II, which encompasses western and southeastern Michigan along with eastern Ontario. The regional winners go on to the International Competition to be held in Las Vegas, Nevada this coming fall. It’s the “Olympics” of the women’s four-part harmony world. and thrilled to perform for you! please call Sandy at 231.409.0999.